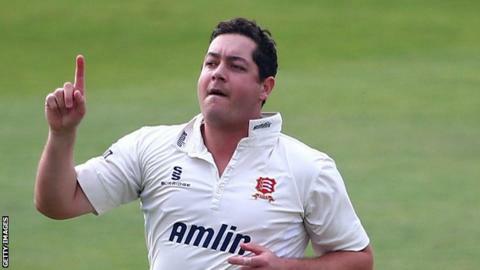 New Zealand all-rounder Jesse Ryder has signed a new deal to stay at Essex for another two years. The 30-year-old, who has also been handed his county cap, has scored 1,196 runs across all formats in his first season with the Chelmsford side. And he has excelled with the ball, taking 43 County Championship wickets at an average of 17.79. "Jesse has shown this season he is one of the best players in world cricket," said Essex head coach Paul Grayson. "Essex's selection of overseas players has been a bit hit and miss in recent years, but they went back to a tried and tested well by bringing in a Kiwi in the shape of Ryder. He came with a reputation for off-field misdemeanours but has been a revelation in all forms of the game, and he will be a vital part of the jigsaw as Essex look to put together a side which can regularly challenge for silverware." "I'm sure this will be exciting news for the club's members and supporters, who get to watch him in action for another two seasons. "He has fitted in really well to the dressing room and we feel that having Jesse in the team will only improve our hopes of challenging for silverware again in 2015." The last of Ryder's 18 Test caps for New Zealand came in December 2011, and he looked to have re-established himself in the Twenty20 side earlier this year, but was dropped for a breach of discipline. Ryder is trying to help Essex win promotion to Division One of the County Championship, and took five wickets as Worcestershire were dismissed for 84 on Tuesday.